Please call (574) 631-6425 to schedule a tee-time. 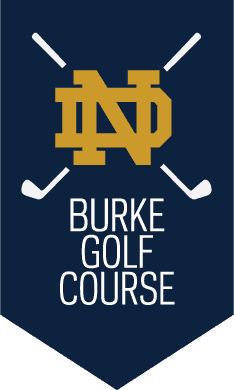 Designed as a regulation 18-hole course in 1929, the Burke Golf Course today consists of 9 holes in the picturesque setting of Notre Dame. The Burke Golf Course is open to the General Public and tee-times can be reserved by calling 574-631-6425.